In vino veritas, and the truth is that South Africa is a grand and sought-after wine country. From all corners of the globe, individuals and corporates with a shared love of wine and the wine business are jetting in to the winelands to get a stake of the action. They see potential, they goofy-foot an energetic wave of optimism when too many locals remain shrouded in the mists of gloom. These entities, ranging from hobby vigneron-investors from Alsace to European conglomerates, are too many to mention. But their numbers and the size and scope of their investments are increasing annually. The smart money says that by 2025, 70% of South African wine-producing farms will be owned by foreign bloodlines. And they come not only for the Cape wineland lifestyle, its majestic scenery and the relative inexpensiveness of a crayfish dinner at the Waterfront compared to the same meal in Frejus, paid for in euros. No, the land is good, the earth is fine and South Africa is making great wine which, so they believe, is going to get better and will drive good business in foreign markets. Aristea Wines is a riveting example of this sort of interest from other countries. 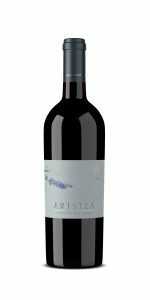 Based in South Africa where two wines are currently being made, Aristea is a collaboration between a British oenophile who is also a Bordeaux Chateaux owner, a French expert in wine production and a South African winemaker with a blue-blooded South African vinous pedigree. London-based Martin Krajewski is CEO of the Blomfield Group which recruits financially astute human heads for the money industry and he also owns Clos Cantenac in St Émilion and Chateau Séraphine in Pomerol. Martin loves wine and the drinks business. Florent Dumeau is a revered oenophile from Bordeaux who has consulted to cellars globally. And locally, Matthew Krone has been roped in by Messrs Krajewski and Dumeau to source the grapes and make the wine for Aristea. With advice, capital and vision coming from London and France, it has been left up to Matthew to turn the enthusiasm and belief in South African wine into a bottled proposition. And this has been done, with the maiden two Aristea wines launched in late spring of this year. 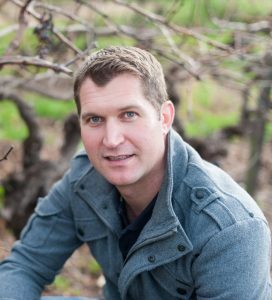 Currently, there are two wines in the range: a Chardonnay 2016 and Cabernet Sauvignon 2015, both made from parcels of fruit Matthew sourced at various pockets of Stellenbosch dirt. And as a mobile, fluid winemaker involved with various brands, Matthew knows where the good stuff grows and where to get it. Both Aristea wines are, for me, welcome additions to the wine scene. Sure, there may not be a shortage of quality Chardonnay and Cabernet Sauvignon in the Cape, but the versions crafted under the Aristea brand are stylistically expressive, stirring up a sense of uniqueness. There’s something good going on here. I’ll take the Cabernet Sauvignon first, made from the comet 2015 vintage. The grapes are sourced from the Somerset-West side of Stellenbosch, not the Helderberg but the gentler slopes on the other side of the R44. A gut-feel would want me to believe that this rather exposed geographical area leads to vineyards offering punchier ripeness and swishy, fruity juice. But this is not to be. The long, cool refinement and crisp freshness of this red wine had me on the line to Matthew asking whether a portion of the allowed 15% of Cabernet Franc had been added to the wine. Not so, I was assured, she is 100% Cabernet Sauvignon. There had been a cold soak and maceration before ferment. And the wood used was French, in equal parts of three, ranging from 1st to 3rd fill. Otherwise, nothing fancy. Just terroir and attention to the various stages of the wine requiring coaxing and focus. 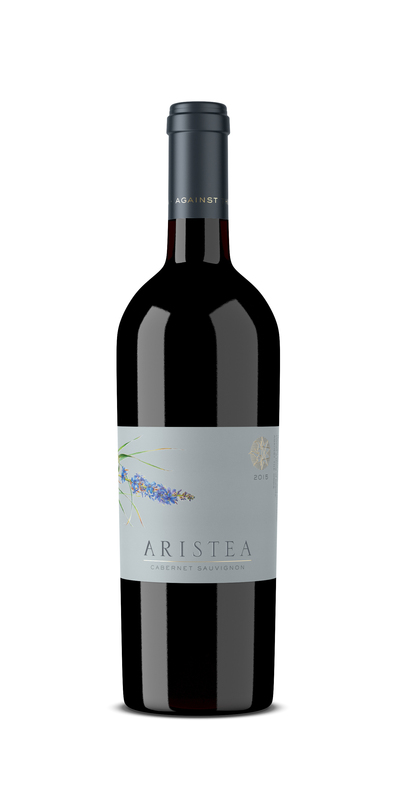 That is why the first impression of the Aristea Cabernet Sauvignon 2015 is one of purity. On the nose, there is a clean, clear line of black fruit beautifully balanced by pencil-shavings, wet rock and pine-needles. No opulence, and no wood-shavings. Just the smell of wine that you’d wish to drink. The attack on the palate is not shy, but not over-confident or assertive. It commands attention from the outset, a layer of crunchy berries and dried herbs coming to the fore immediately. To the mid-palate, and as the wine warms in the mouth, luxurious and comforting notes of truffle oil, blackcurrant and cured pork lard is released, enhancing the excitement before the wine ends cleanly with a kelpy, oyster-shell after-taste. Deliciousness is made more so by the wine being interesting. As the mental hard-drive struggles to find an association with a similar wine, the promise of the next sip and the following glass makes you forget comparisons, leaving one with that delightful knowledge that you have discovered something quite unique. Aristea Cabernet Sauvignon. This is it. The Aristea Chardonnay 2016 had me on more familiar turf. 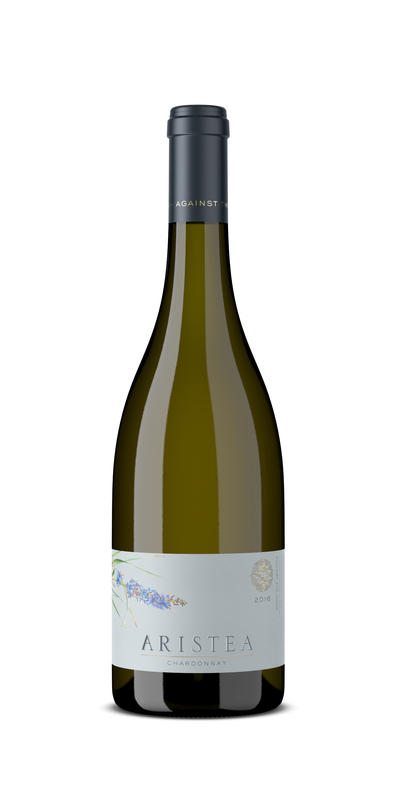 The Royal White Grape of Burgundy stands here in all her glory, with those characteristic trumpet squalls of peach pips, grilled nuts, white flowers and ripe Packham pear. Grapes originate out Stellenbosch Hills way, on a sea-facing slope next to Jordan Estate – not a bad address for Chardonnay. The wine is wooded with 40% new, the balance tapped into half-and-half 2nd and 3rd fill. Malolactic fermentation and battonage complete the Full Monty approach Matthew employed, and the other two partners no-doubt requested. 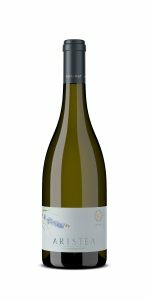 Again, the Aristea is a welcome addition to the South African Chardonnay family in that it most definitely complements the offering with an intriguing noble, Old World complexity. Chardonnay loves the sun, and local Chardonnays are so damn good due to the vinification being done from fruit picked in a state of balanced ripeness, allowing the more hidden nuances to come to the fore. Think the characteristic sweet core. This can cause a predictable linearity to creep into the local Chardonnay offering, something I am encountering in increasing frequency. Aristea, however, has both fruit personality as well as a dry austerity, an almost honey-wax note that makes the wine and its origin mysterious and intoxicating. Style-wise, followers of the De Wetshof Bateleur will find a kindred spirit here. So they came, they saw and they instructed. The cross-hemisphere combination has worked, three minds working in tandem and resulting in a range of wines that makes the future look as bright as you can ever want it to be.